"I think I'll stop here...."
The Isaac Newton Institute is delighted to announce that on the afternoon of Monday 1 October 2018 it will be hosting an event to celebrate the 25th Anniversary of Sir Andrew Wiles famously announcing at the Institute his proof of Fermat’s Last Theorem. A wine reception including the opportunity to view art at the Institute. Timings are given on the Timetable page http://www.newton.ac.uk/event/lfnw01/timetable. 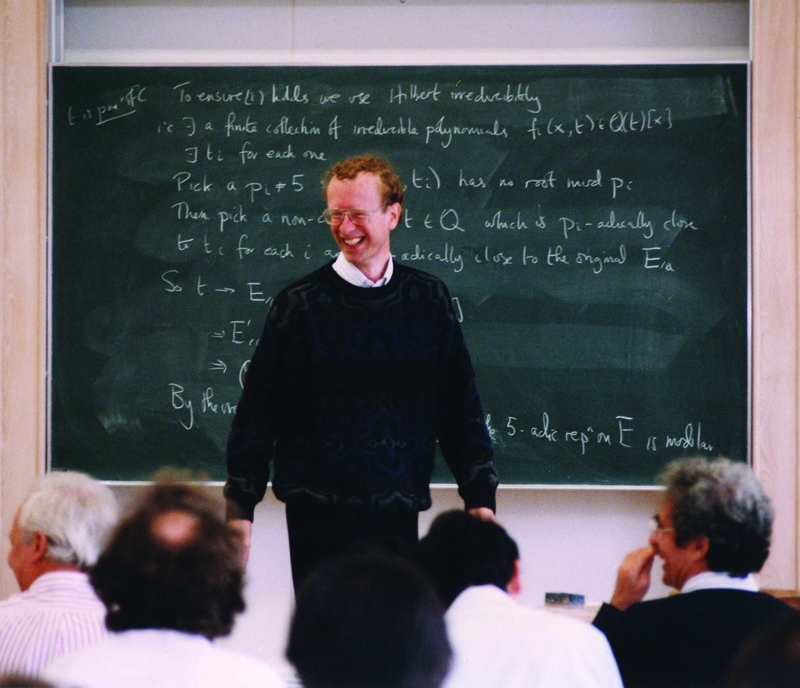 John Coates was an Organiser of the 1993 L-functions and arithmetic programme as well as its associated workshop on p-adic representations, Iwasawa theory and the Tamagawa numbers of motives at which Andrew Wiles presented his historic proof over a series of lectures. Jack Thorne did his PhD at Harvard under the supervision of Andrew Wiles' collaborator Richard Taylor. Most recently he has been interested in using automorphy lifting techniques to establish new cases of the Fontaine-Mazur conjecture.